Rules: Current NRA rules will govern tournament. Current NRA classification will be used. NRA membership is suggested, but no longer required. 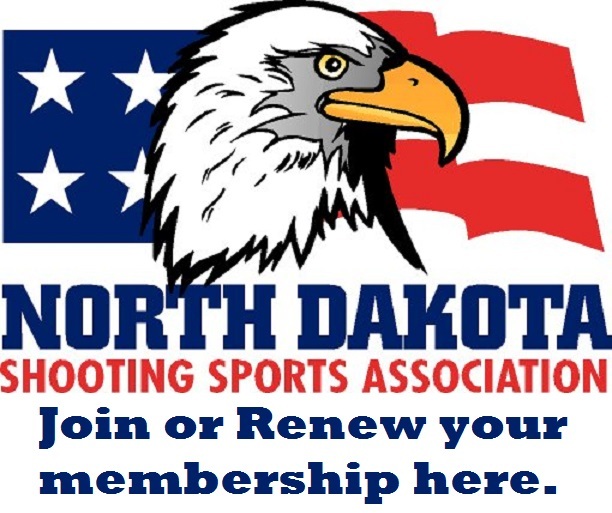 North Dakota champions must be ND residents and must be members of the North Dakota Shooting Sports Association. NRA and NDSSA memberships will be available at the range. Capacity: 16 Shooters per relay. Post Entries: Post entries will be accepted up to range capacity, providing they do not require the opening of additional relays. Barrel cannot be more than 6" (sight radius 8.66”). Slow fire is 5 shots in 150 seconds (timed is 20 seconds and rapid is 10 seconds). Timed and rapid fire shooting begins from the ready position (guns are held at approx. 45 degree angle off the table until the targets turn). targets will turn away and edge for 7 seconds and then face for the required time period. Match Schedule: All matches fired from 50 feet. Awards: Classes will not be combined. Unclassified shooters will be placed in the Master class. Winners of matches # 11 and # 12 receive a State sponsored award. Winners: Matches #1 to #10 will receive class award plus an additional 2 each per match. Match #11 will receive class award plus an additional 6. Match #12 will receive class award plus an additional 10.